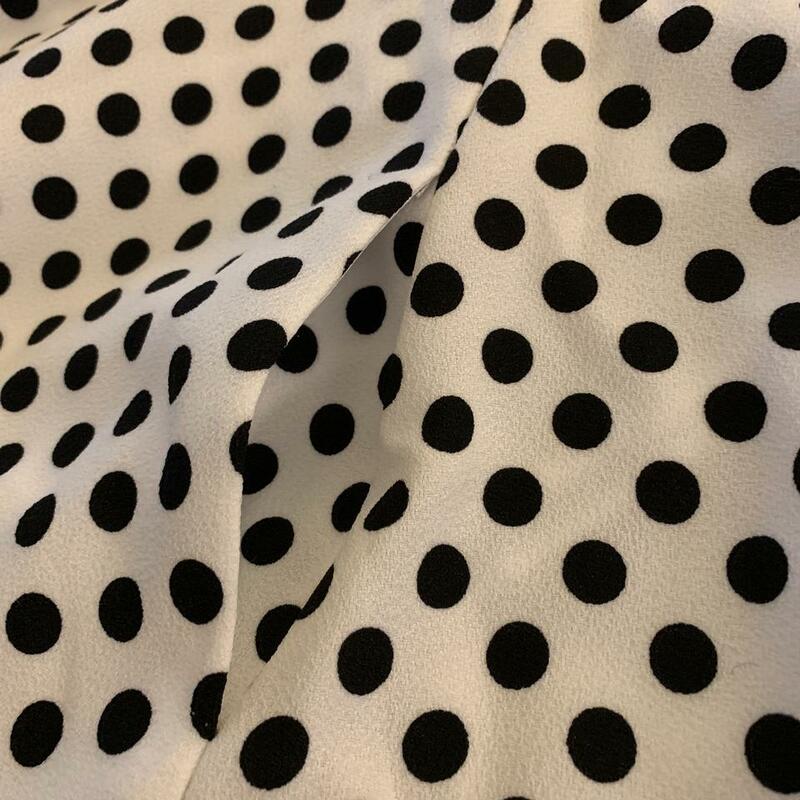 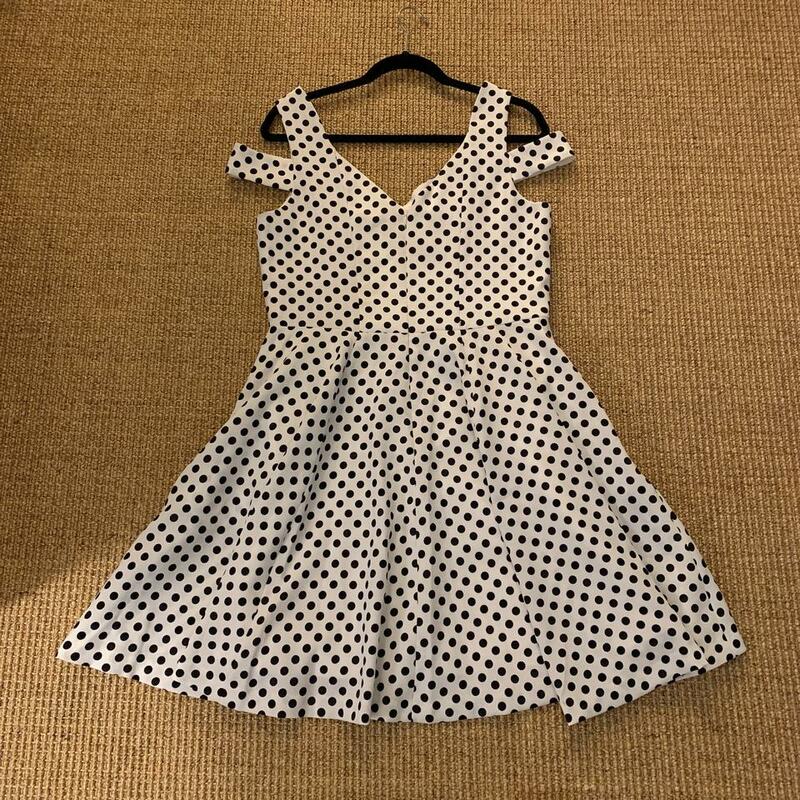 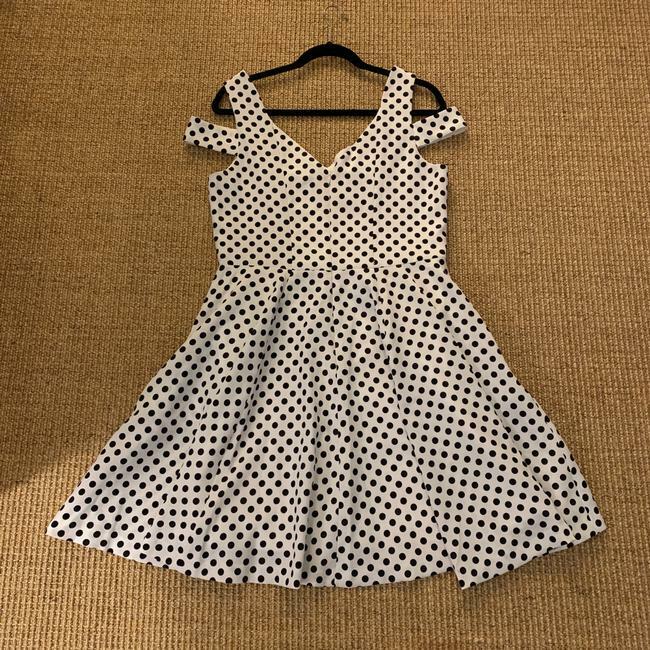 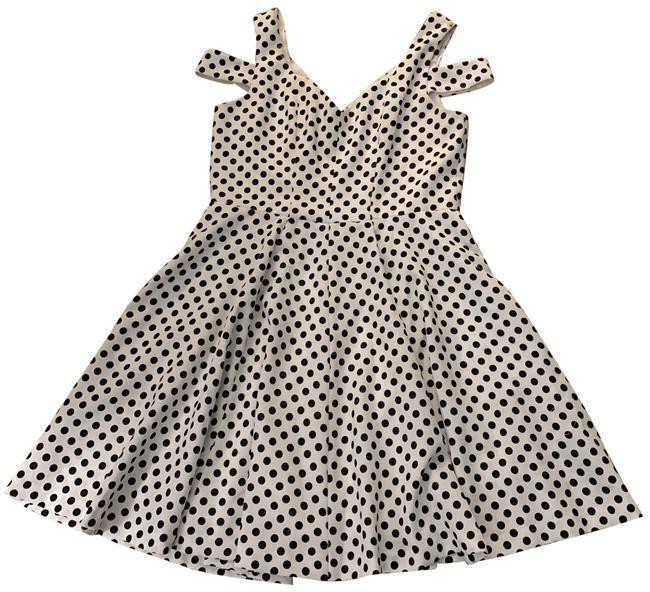 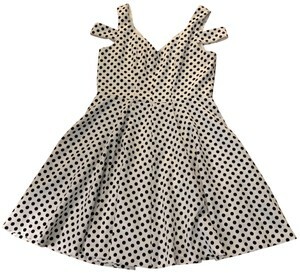 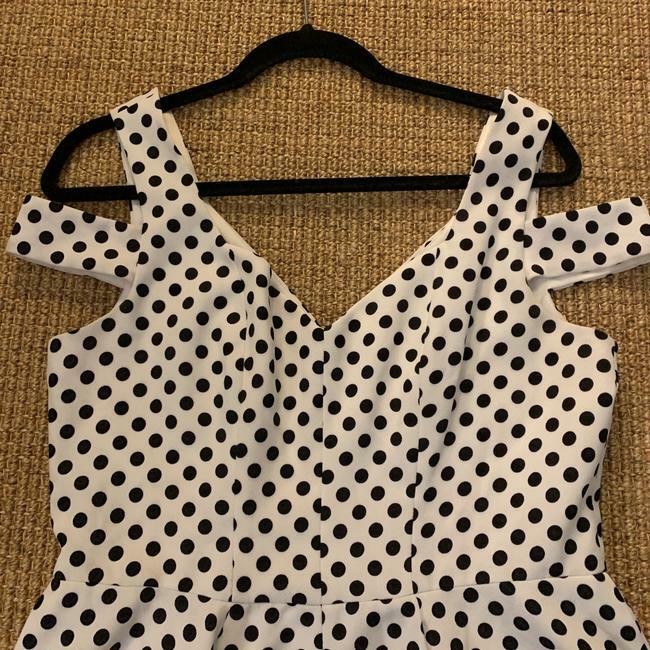 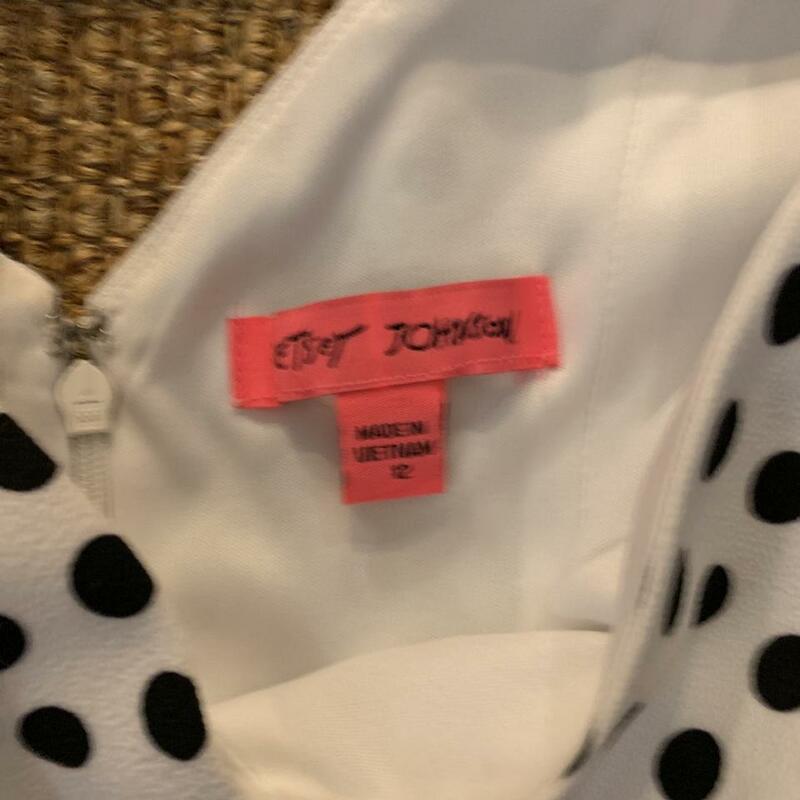 White with black polka dots, mid-length dress. 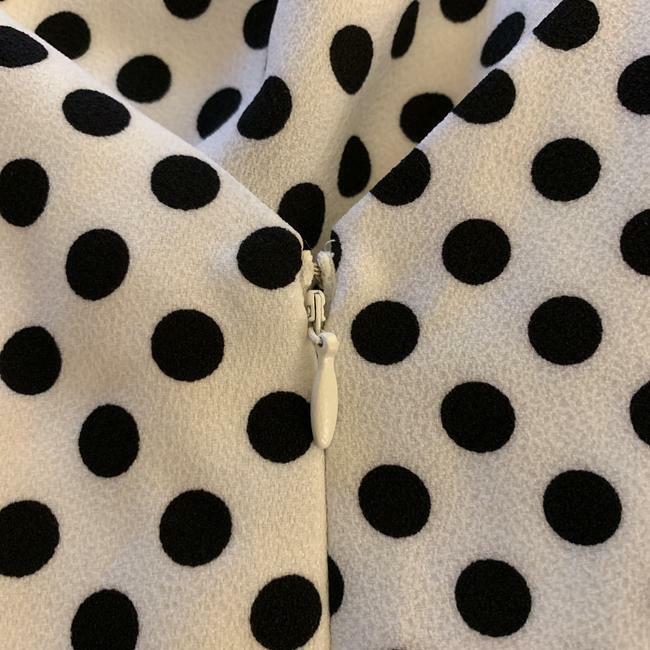 A pocket on each side and zip up the back. 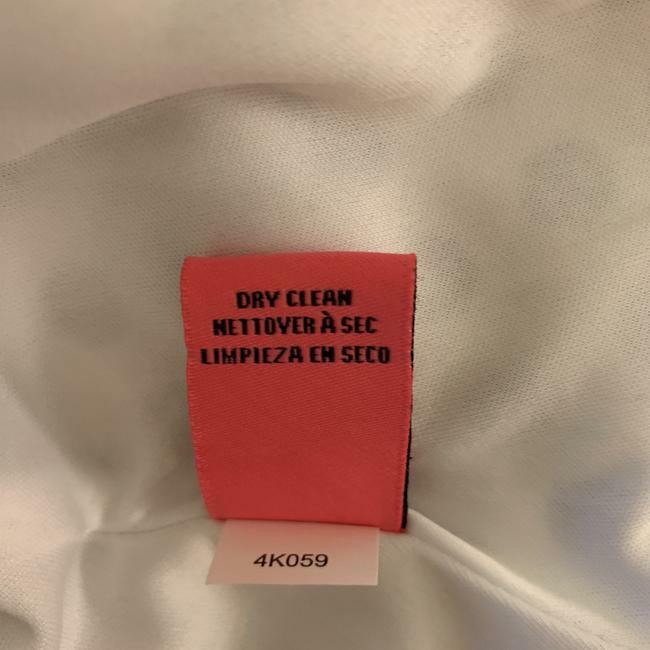 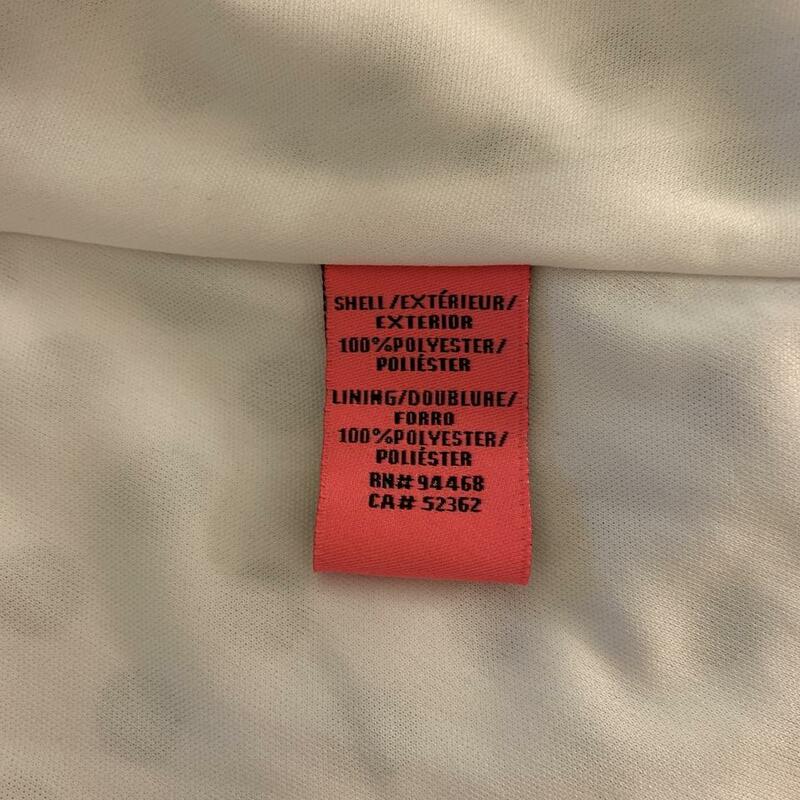 It’s used but looks pretty new.